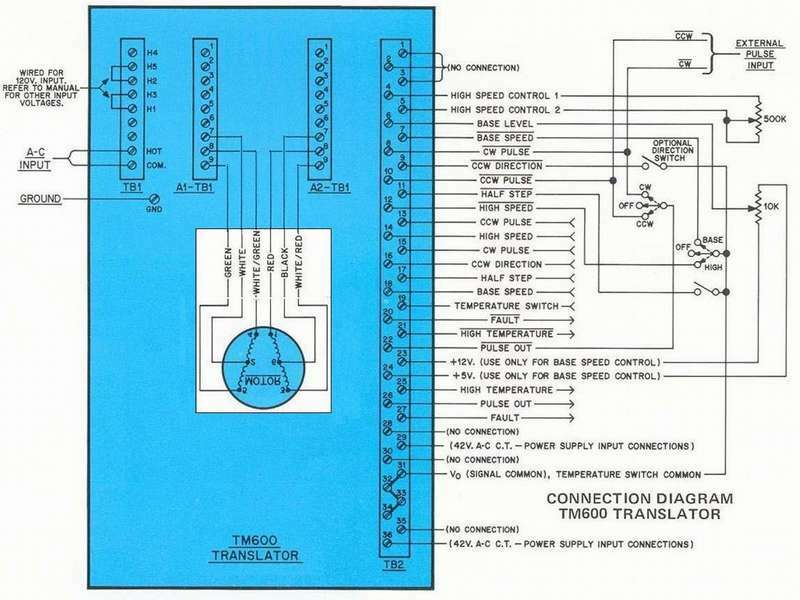 This page gives an overview of the Slo-Syn stepper motor Translator Drives. These drives uses all silicium transistors, like the TIP122 in the STM101. The series starts with the STM101, from around 1977 and the last drives are from about 1987. 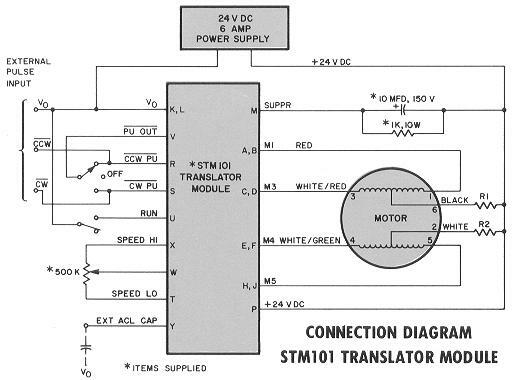 The STM101 translator module is a printed circuit board that provides the sequencing and switching logic for bidirectional control of an Unipolar Stepping Motor. The translator module converts CW or CCW pulses from a minicomputer, microprocessor or other external logic source into the switching sequence needed to drive the Stepper Motor in full steps. External logic, therefore, can control step rate, direction and the number of steps taken. An internal oscillator is also provided for "off-line" or manual control of position. The STM101 requires an external 24VDC, 6-amp power source. SLO-SYN Power Supplies types MPS3000 (115 vac) or MPS3000X (230 vac), described further on this page, are recommended. 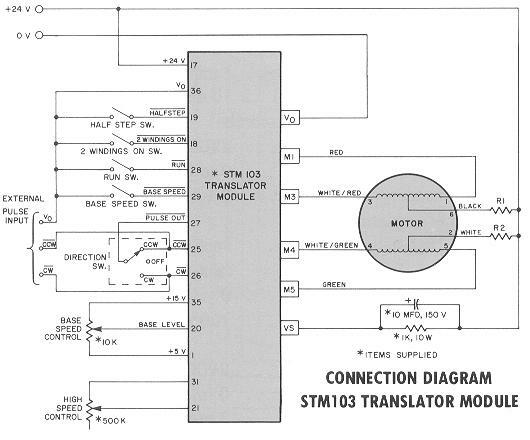 The STM103 SLO-SYN Translator Module is a single printed circuit board which provides the sequencing and switching logic needed for bidirectional control of an Unipolar Stepping Motor. 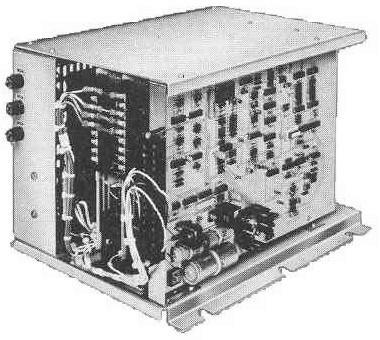 It receives CW or CCW pulses from an external logic source such as a minicomputer or microprocessor and converts the pulses into motion in the form of motor steps. Therefore, external logic can control step rate, direction and the number of steps taken. An internal oscillator is also provided for "off-line" or manual positioning. The STM103 will drive a stepper motor in either the half-step (0.9º) or the full-step (1.8º) modes. Operation in the half-step mode permits finer system resolution with no loss of positioning speed. Adjustable acceleration and deceleration circuitry increases load handling capability. The STM103 requires an external 24VDC, 10 ampere power supply. The MPS3000 and MPS3000X SLO-SYN Power Supplies are recommended for use with the STM103. 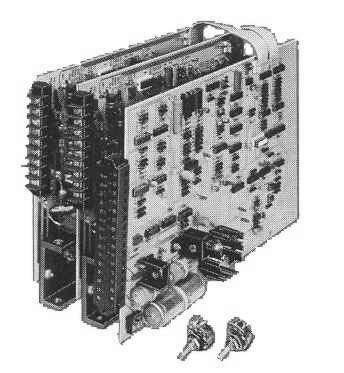 The TBM105 is an open chassis unit which incorporates an automatic, depending of the motor speed, regulated d-c power supply together with the sequencing and switching logic needed for bidirectional control of a 6 lead Stepping Motor. It will drive a SLO-SYN motor in either the half-step (0.9º increments) or the full-step (1.8º increments) mode and is intended for base mounting. 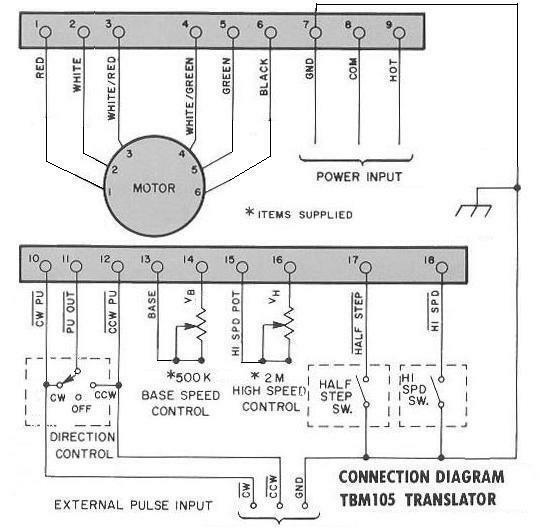 The TBM 105 receives pulses from a minicomputer, microprocessor or similar pulse source and converts the pulses into the switching sequence needed to drive a stepper motor in full or half steps. The external pulse source controls the step rate, direction and the number of steps taken. An internal oscillator is also provided for manual or "off-line" positioning. A TBM 105 translator is adjusted at the factory for optimum performance with a specific motor. When ordering, be sure to select the model intended for the motor which will be used. 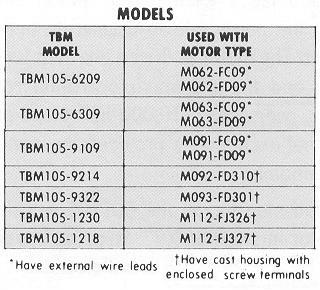 The appropriate TBM105 translator/motor combinations are shown in the table. 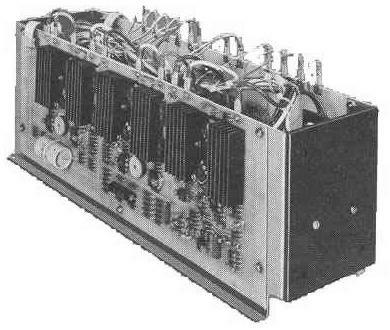 This unit was also available in a buffered version, the BUF105. It has the same power supply and drive board, but the logic board generates autmatically the acceleration and deceleration from a constant frequency pulse train. Modular SLO-SYN Translator type TM600 is an open chassis unit which incorporates the d-c power supply components together with the sequencing logic and unipolar switching driver stages needed for bidirectional control of a SLO-SYN Stepping Motor. The unit is intended for base mounting and can be operated from a 120, 220 or 240 volt, 50 or 60 hertz power source. It will drive a stepper motor at rates to 10,000 full-steps (1.80 increments) or 20,000 half-steps (0.90 increments) per second. The TM600 converts pulses from an external source into the switching sequence needed to drive a SLO-SYN motor in steps. Direction, stepping rate and number of steps taken are controlled by the external pulse source. Monitor outputs are incorporated into the TM600 to signal when operating temperatures or voltages vary outside predetermined limits to assure safe and reliable operation over all specified environmental and voltage ranges. A pulse buffer is also incorporated to facilitate interfacing with microprocessors by reducing the jitter inherent in the pulse trains supplied by these devices. 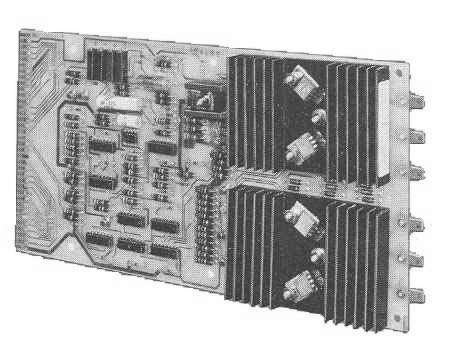 The TC600 consists of two Switching Driver circuit boards and one Sequencing/Supervisory Logic circuit board together with the necessary edge connector and interconnecting cables. It is without mounting frame and power supply. It was used as OEM product, but also as a spare pare kit for the TM600. The PDD006 is a special version of the TM600. 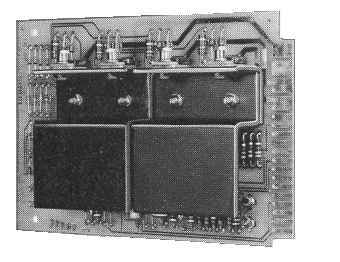 The translator board is replaced with a small interface board to make the drive compatible with the 4 phase output signals of the Modulynx System.